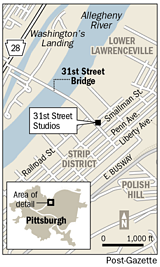 31st Street Studios recently announced that it will be creating a large special effects motion capture studio. 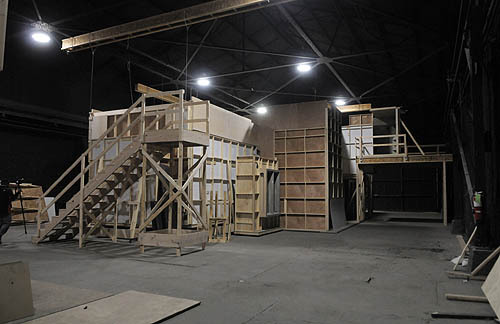 The outside of a set Fox built for a pilot called "Locke & Key" at 31st Street Studios. Right now, in the massive 31st Street Studios complex in the Strip District, it's the "dust" that is mostly evident. A joint venture announced Monday will add a motion capture operation, production support and training for students at Carnegie Mellon University's Entertainment Technology Center to the facility, which already has done traditional moviemaking with "The Dark Knight" and "One Shot." But what Mr. Breakwell, the studio owner and president, described as a "Hollywood of the East" still looks mostly like the former steel mill it is. 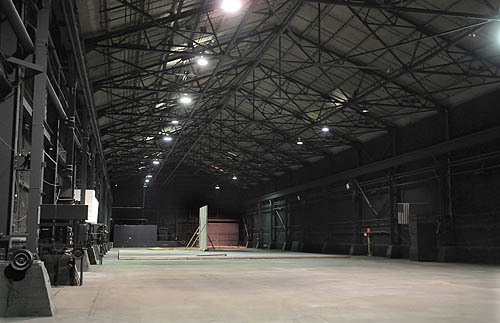 Standing in the middle of Stage 3, 29,000 square feet of sheer empty space latticed by soaring metal girders overhead, Mr. Breakwell was giving visitors a quick tour of the site, where Paramount On Location, Knight Vision Studios and CMU's ETC Global are combining forces to try to create a production powerhouse. Over there, great swaths of spongy, cellulose soundproofing material had been sprayed up one side of the wall. And here, the smell of recently cut wood still lingered on a soundstage version of the basement wine cellar from "Locke & Key," a Fox pilot shot last year. Footsteps echoed as Mr. Breakwell walked up a dark staircase to nowhere in one of the complex's seven other studios. Later, he showed off the fake jail cell -- the iron bars, toilet and cot were authentic -- and a creepy mock-up of a large, earthen well. "I spend a lot of time [wandering] -- this facility is 300,000 square feet, and I try to learn every inch of the buildings. After almost a year, I still haven't learned everything," he said. 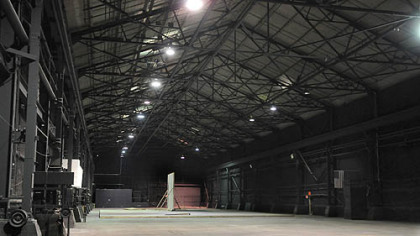 The almost-10-acre former steel mill and business park is the kind of physical space coveted by the movie industry. "If you know anything about the business, what makes this so unique and special is the size of the buildings, the ceiling height and the clear span," Mr. Breakwell said, referring to large spaces unbroken by pillars or other structural items. 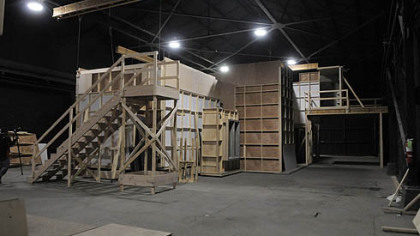 Outside of New York and Los Angeles, huge soundstages are a rarity in this country. Paramount On Location, which is a division of Paramount Studio Group, is setting up residence at 31st Street Studios to serve as an East Coast "gateway" for its production support services, such as lighting, grip and transportation.